A vacation or staycation at the Fairmont the Palm Hotel in Dubai is most satisfying. Not just for an individual or loner traveller but for couples, the business or the leisure traveller. 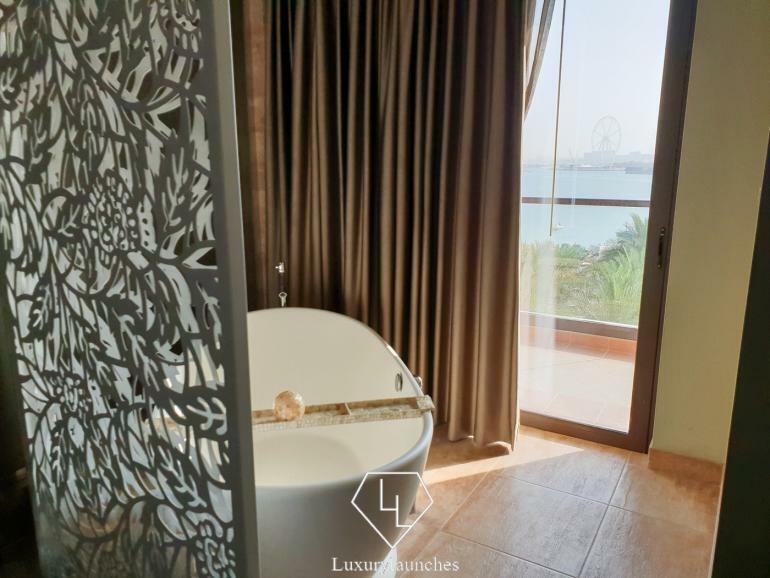 This is because there is something for everyone at the property, located on the trunk of one of the world’s most unique manmade islands, Palm Jumeirah. Families will have the choice to take a dip in the swimming pool or the sea further ahead. Thanks to plenty of sun, getting an enviable tan is a piece of cake. 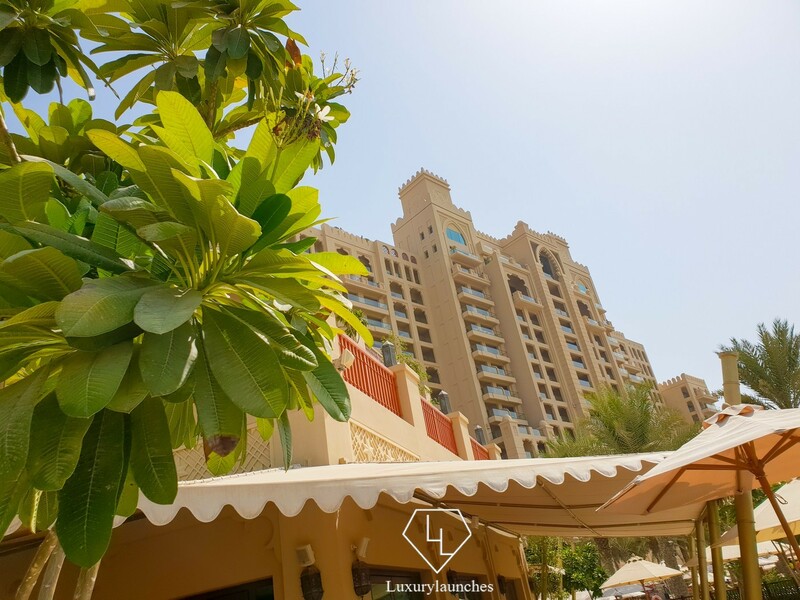 Sunbeams next to the pool are a good option, or even better is to be stationed on the property’s 800m private beach. 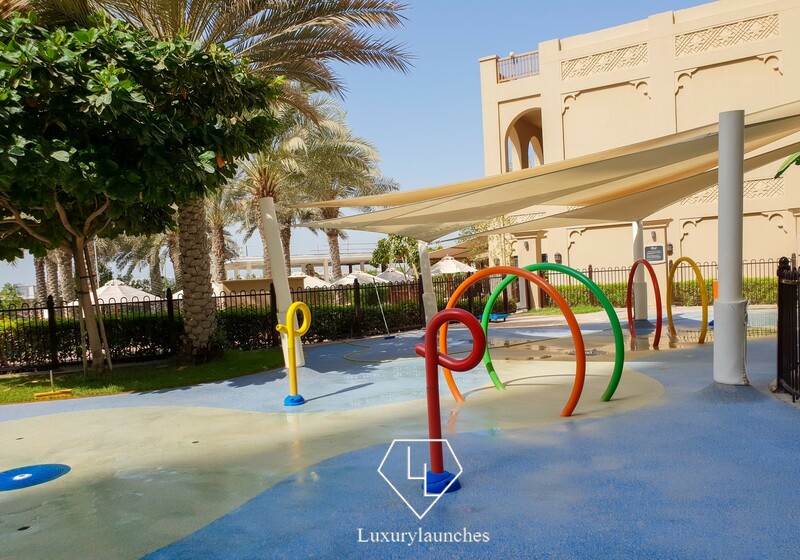 For the children, there is a dedicated splash zone, located in the premises of the Falcons Club for children. Couples looking to relax should be able to use the Willow Stream spa to their benefit to enjoy a series of massages and beauty treatments. 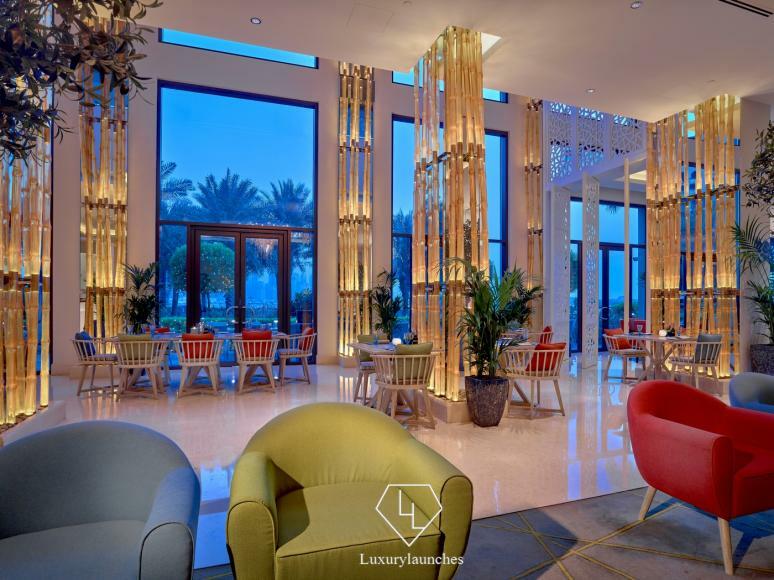 If shopping is on your agenda, the hotel’s convenient location offers an easy access to a host of malls in the city such as the Marina Mall and the Mall of the Emirates. 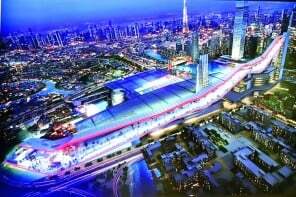 With the Marina metro station just a 5-minute drive away, visitors and tourists can easily hop onto the metro which will take you to the doorsteps of Dubai Mall, Ibn Battuta and even Dubai’s old favorite Bur Juman Centre. 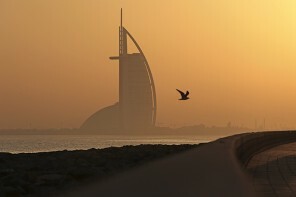 What’s more, if the weather permits, it is also a good idea to explore the Deira Creekside and the Dubai souk area. 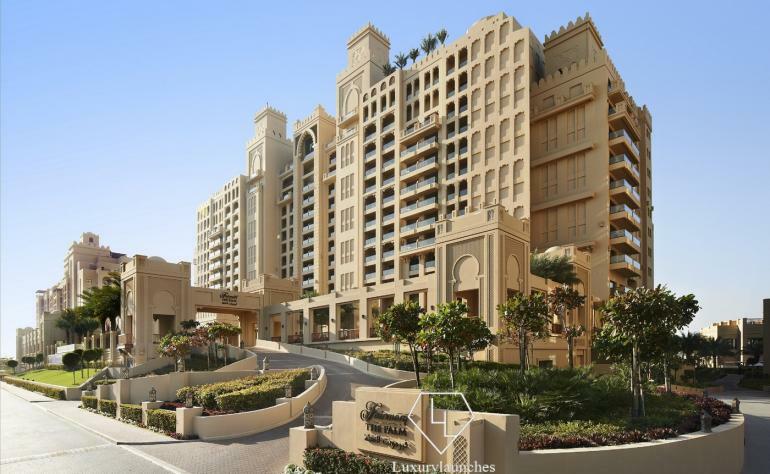 To further enhance convenience for the traveller, the Nakheel Mall is shaping up at a stone’s throw from Fairmont, right on The Palm. 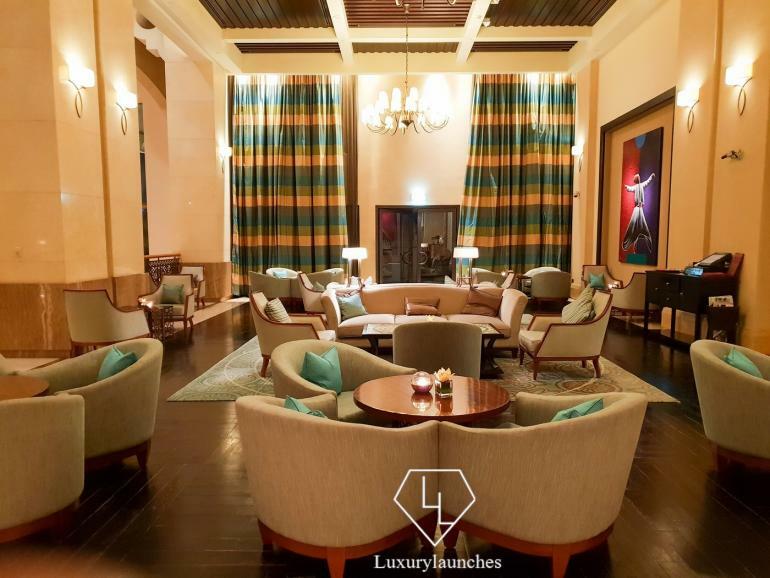 The hotel may not be ideally suited for a business traveller who is packed with back-to-back meetings, but those looking for a place to unwind at EOD have the option to do so if they prefer sipping on a cocktail and watching the sunset or the twinkling city lights. 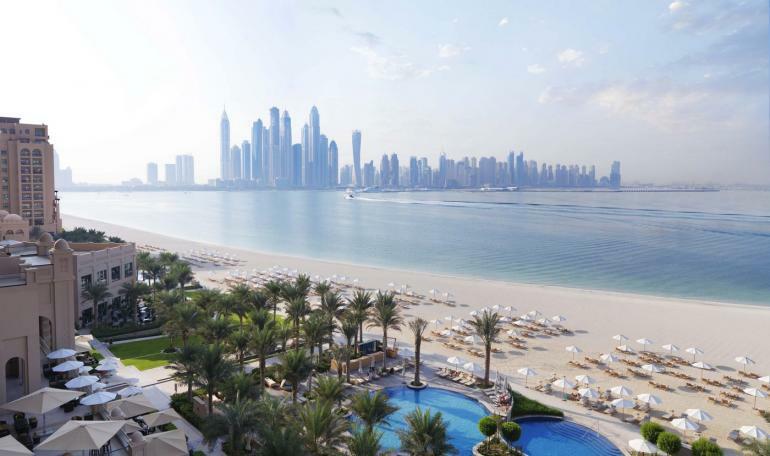 UAE residents will also find that the hotel has all the ingredients for a cozy time-out. 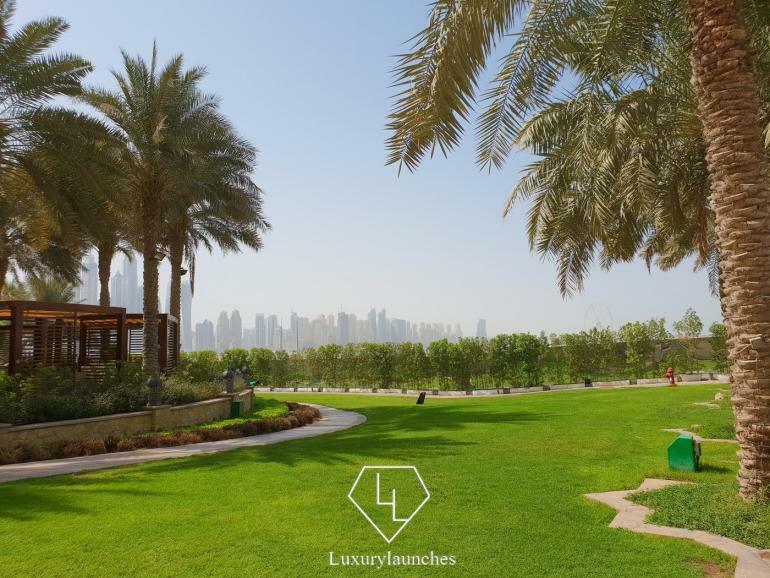 As well as the all the above facilities, there are two more options that Dubaiites absolutely adore – good food and plenty of fitness classes. 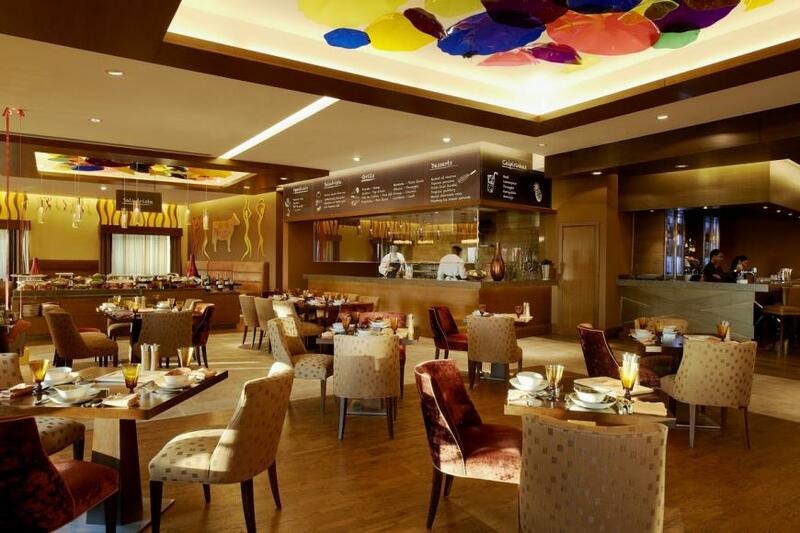 To know more about the dining options, scroll down. There are many charming factors of this hotel, which opened in 2012, tucked in a neighborhood of sand-colored apartment buildings on the way to the fronds of The Palm. 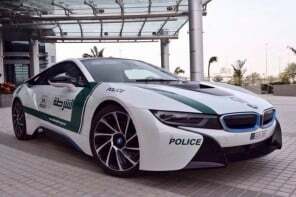 While the camouflage might appeal to some, others who are new to the property may get a little lost amidst all the residential complexes and roadworks. On entering the hotel, the first thing to catch my eye was the all-welcoming space. 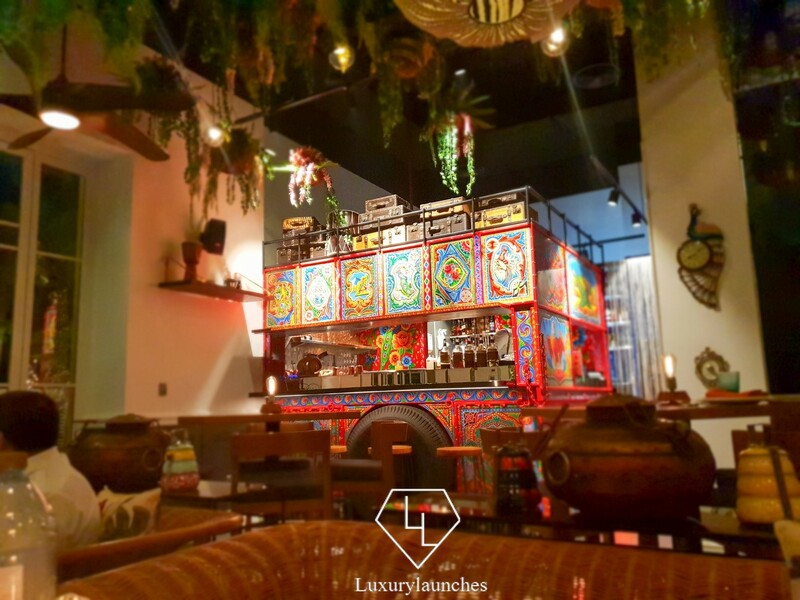 Accentuating this is the minimalistic Arabian color palate of beige, ecru, tan and light hues and decor including wall-length calligraphic paintings, oriental lamps, dates & coffee as well as detailed mashrabiyas. 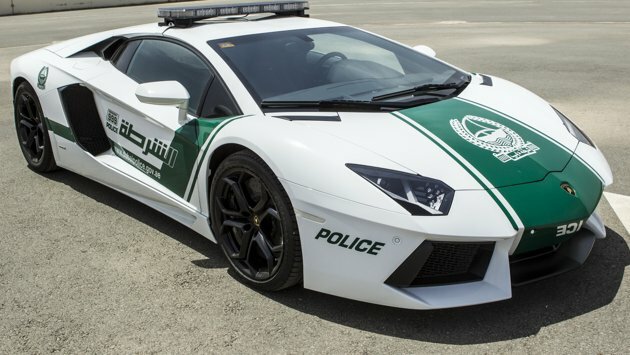 You can see the happy marriage of the Arab culture with the traditionally American brand. 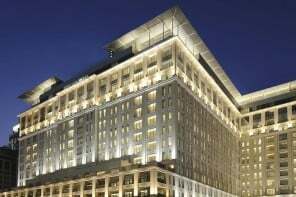 Clive Ford, Chief Engineer from DSA Architects International, was the chief architect of this 5-star hotel project. 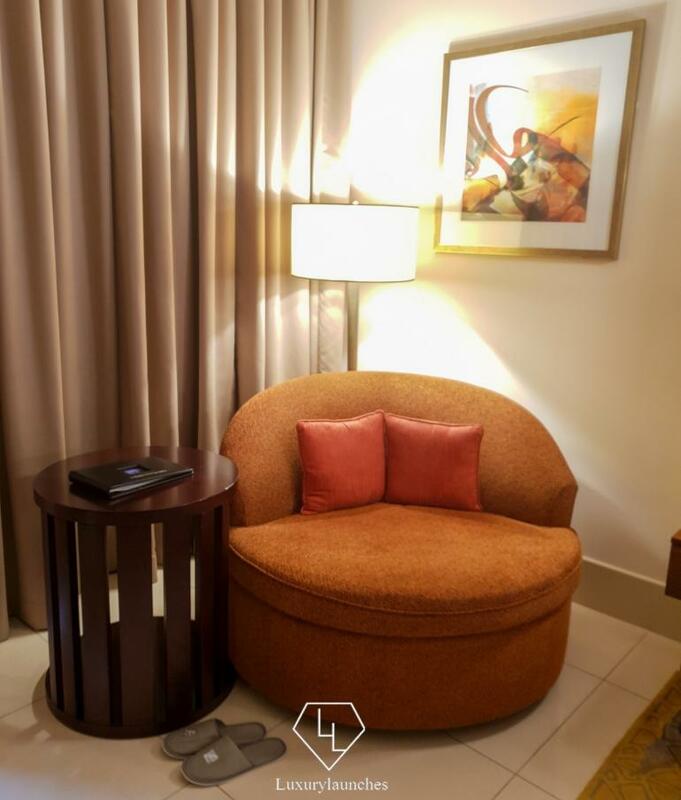 Check-in is a quick process after which we were swiftly guided to our Deluxe Sea View Room, on the 6th floor, with a sea view. 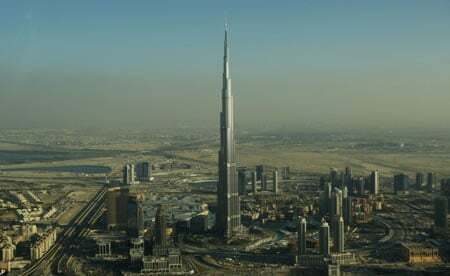 Room rates start at AED1,600++ ($436). As well as the Deluxe Rooms, other categories available include the Fairmont Room, the Fairmont View rooms, the one bedroom suite, the Signature Suite, and two Presidential Suites. 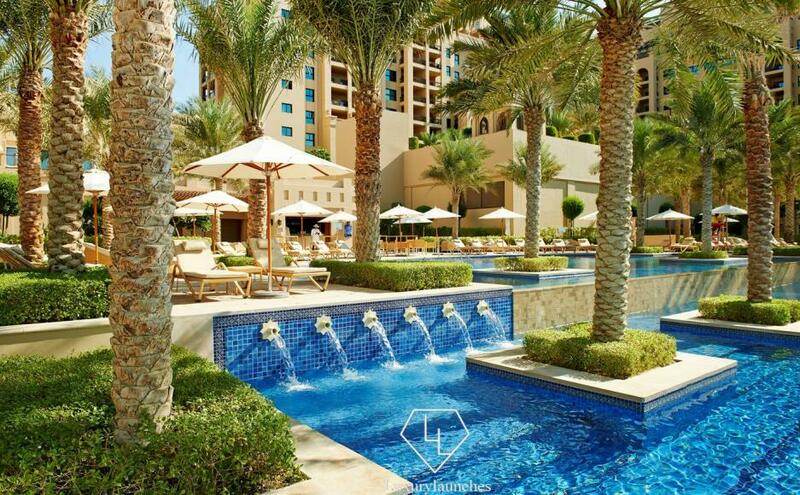 There is also the Fairmont Gold – an exclusive lifestyle concept with five sub-categories. 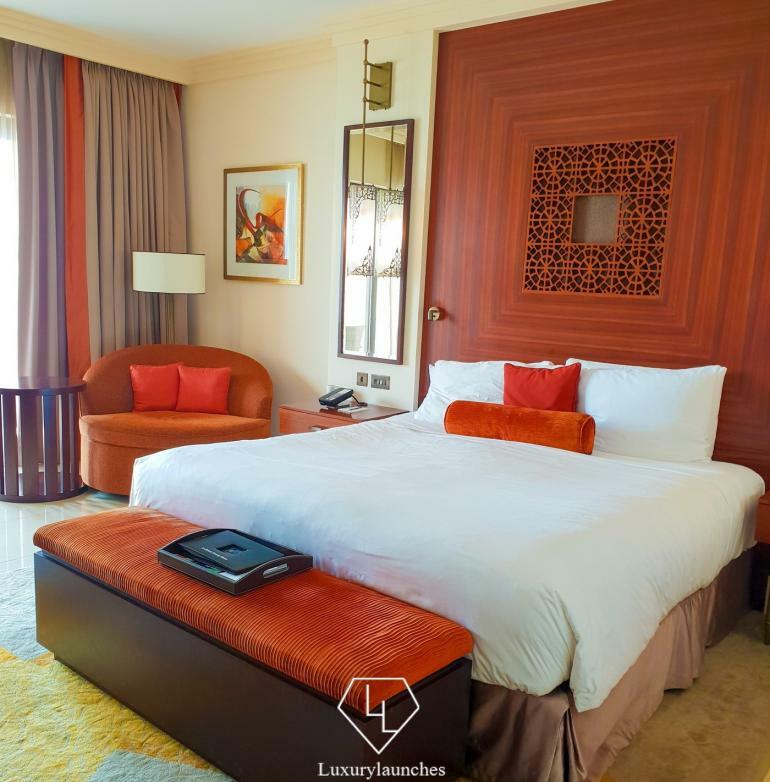 Prices for the room categories begin at AED 1,200++ ($327) and goes up to AED 8,000++ ($2,180) for the Presidential Suites. Of the 381 rooms in the hotel, most have an excellent, panoramic view of the Arabian Sea, the villa-sprinkled edges on the fronds and the stunning skyline of Dubai Marina which is as enviable as is exquisite. Adding sprinkles to this gorgeous view is Ain Dubai, slated to be the world’s largest Ferris wheel, even considerably taller the London Eye. 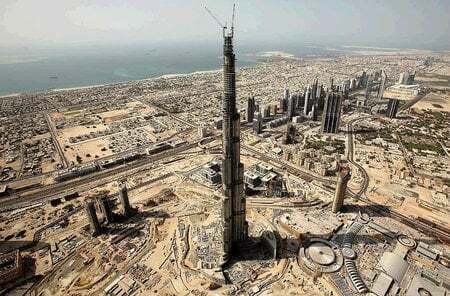 The landmark structure has taken shape on the Bluewater, a manmade island project by Dubai-based developer Meraas. As we stood mesmerized by the view, we almost missed the doorbell. Just as I reached the door, it swung open and I came face-to-face with a highly embarrassed staff who assumed that the room was still empty before he announced that our bags were here and where we would like them to be stored. That was a little surprising and also a tad bit annoying. 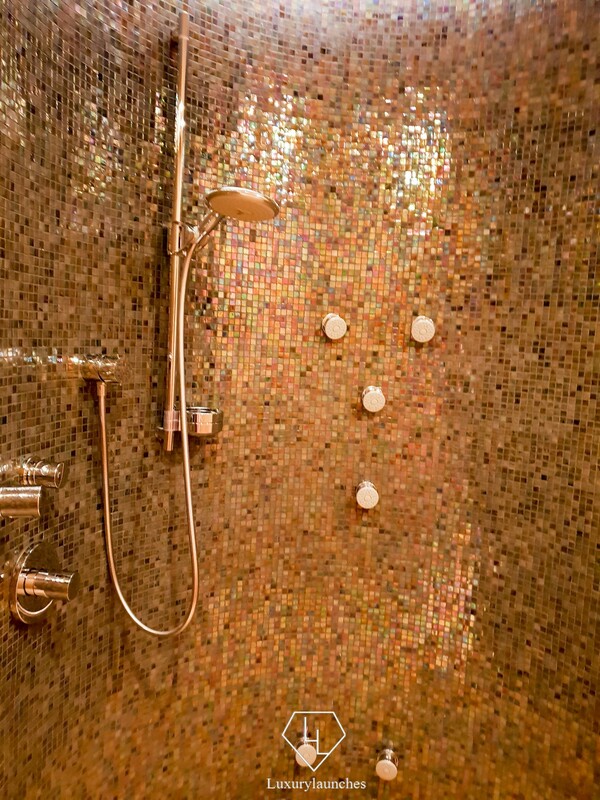 The room features a closet, a balcony, an LED TV, a media panel connectivity kit, wifi and a five-piece marble bathroom that comes equipped with a separate rain shower. 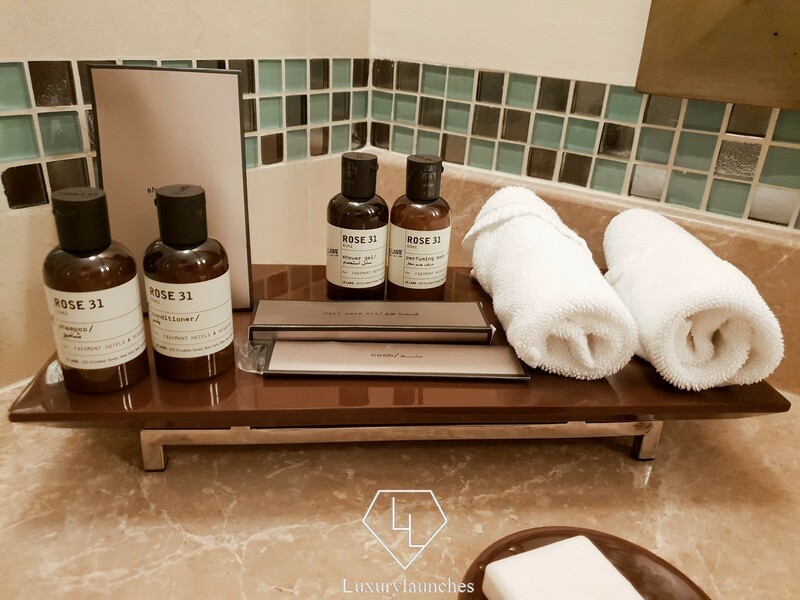 The hotels offer toiletries from the Le Labo Rose 31 brand. Once settled in, my husband and son resumed their position on the couch in the balcony while I made myself a cup of coffee from the complimentary coffeemaker, grabbed the TV remote and slumped into the bedside sofa. As I scrolled through the channels, I was quite surprised at the poor list of channels available. The movie choices were just a couple as was the news channels while the remaining were multilingual channels – Arabic, Hindi, Russian, French and Chinese to name a few. I am usually not a television person but I enjoy a late night movie once the boy is asleep and I am too tired to sleep. Bummed that there was nothing interesting on TV, I shifted in my seat to reach out for the coffee when I wobbled slightly. At first I thought it was me but realized the sofa was a little imbalanced. 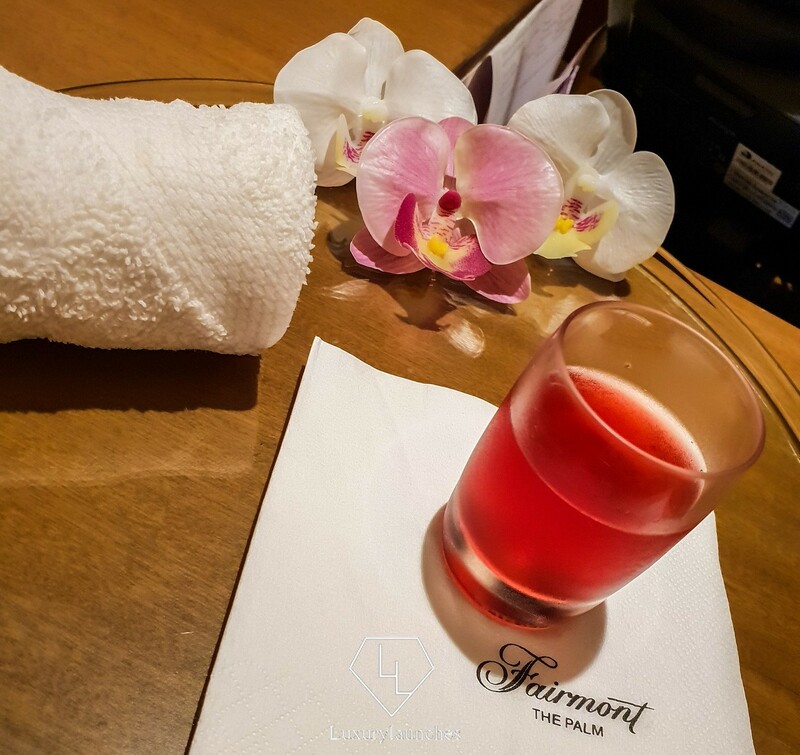 The room is equipped with an office desk and chair, and if you are in no mood to write letters or send a fax (of which all necessary stationary is available), you might find some interesting facts in the Fairmont Magazine. Like the black and white picture taken in 1969 when John Lennon and his wife Yoko Ono, then newlywed, staged their second bed-in for peace protest against the Vietnam war, at room 1742 at the Fairmont Queen Elizabeth in Montreal, Canada. The suite was recently redesigned, leaving behind several memorabilia from the original protest. But, they were just two in a list of celebrities, royalties, dignitaries and artists to have graced the properties under the brand. Since its inception in 1907 when The Fairmont San Francisco opened doors to the elitist of the city, it has gained a reputation for being a “place of occasions”, hosting “glittering balls, political gatherings and presidential visits”. 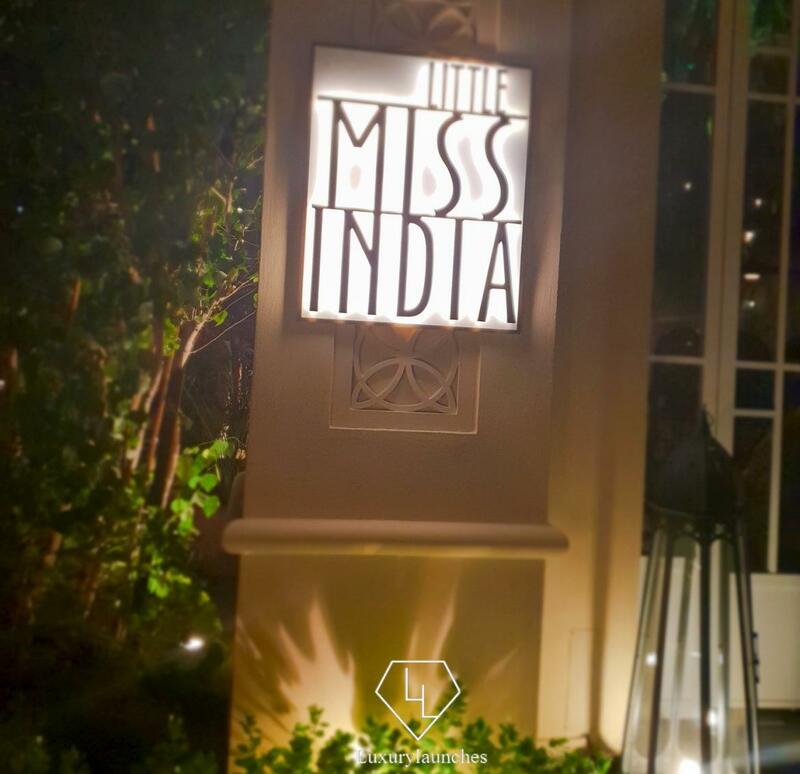 Dinner was at Little Miss India. Whatever mood I was in following the check-in, this experience completely tuned out all the negatives in my emotion. 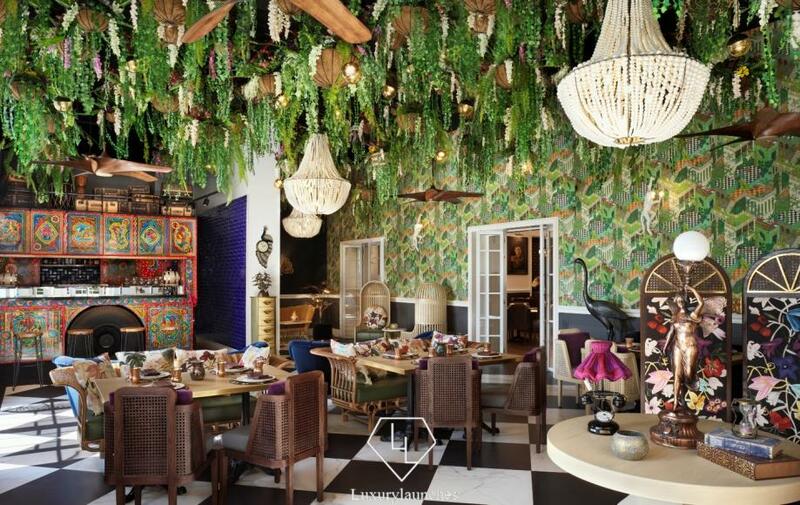 I fell flat for the quirky yet vibrantly designed interiors of the restaurant and then the food arrived. The food! This is by far the best Indian food I have enjoyed in all my time in the UAE. Several factors led to this conclusion, and the interior settings and furnishings were one of them. Ambience was cosy, especially as they played soothing and melodious Bollywood music. A far cry from the calming effect of the interiors is the bar. Replicating an Indian truck boot, it is hard to find a bright color missing from the artwork. Pooja from Darjeeling, who waited on us, was extremely patient, gentle and friendly with us. She, and a couple more of her colleagues, developed a fan in my son who was more than pleased to have his unlimited supply of poppadoms and crackers – the only thing he ate that evening. They couldn’t have been more gracious. 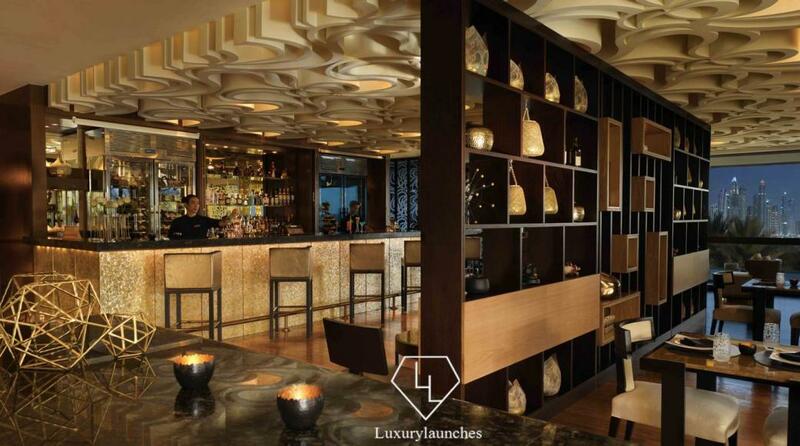 The bar is where jazzy cocktails such as the Santra Mantra, Gurkha’s Remedy, Slumdog Millionaire and the Kerala Mule get concocted. The food was lip-smacking good and Chef Mohammed Arif knew the right ingredients to attract a loyal following. 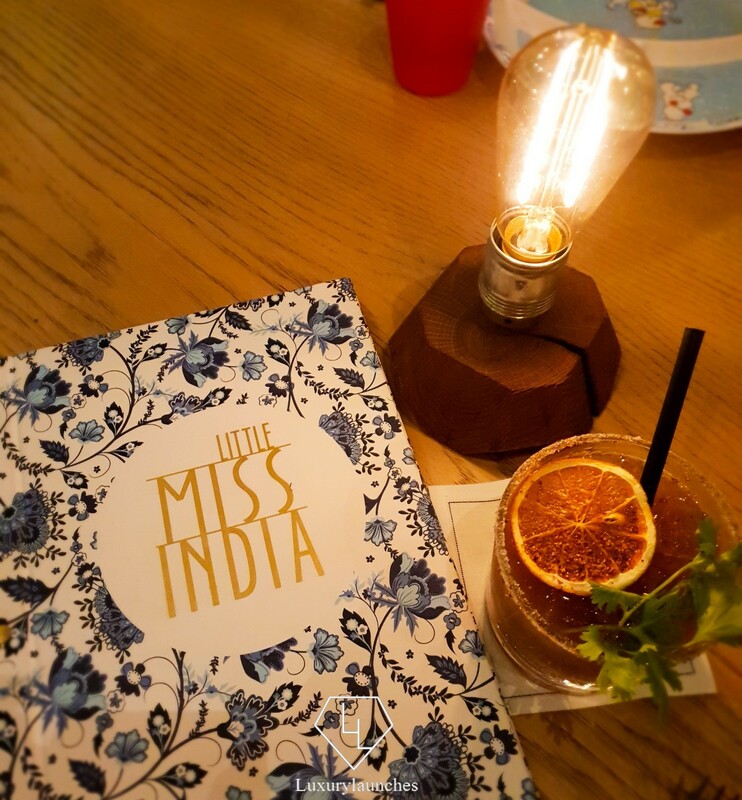 We started with the most popular dish of the restaurant, the cleverly whipped up Batti da Smoked Lamb Chops – served smokey inside a mason jar and Amritsar Macchi. 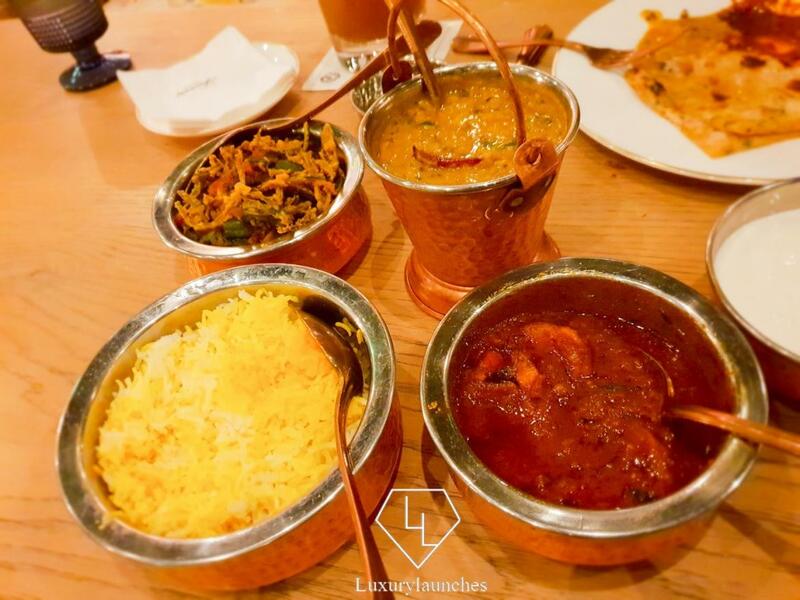 Then we made our way through Shrimp Chettinad, Dal Panchratni, Murgh Tikka and Amchoori Bhindi with saffron rice and kulcha for the main course. The icing on the top was the dessert. Milky phirnee with a torched caramelized coat – Phirnee Brûlée. Had I not overindulged on the prawns, I would have had the chance to overdo on the dessert. But alas. I left the restaurant with a smile and heaved a sigh of satisfaction. The Flow Kitchen on the ground level is where the breakfast buffet is served. There are plenty of options – even dedicated kiosks for gluten-free products, for pork and also for Eggs Benedict! That floored me. 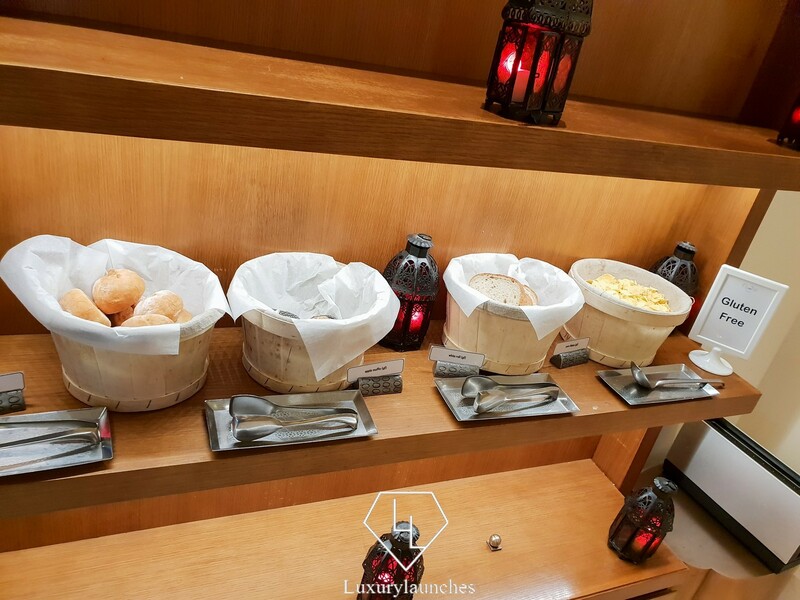 As well as these the regulars such as the egg station, pancakes, Indian spread, Arabic spread, cheese spread, cereals and fruits and more were also on offer. We met one warm face here – Shanmugam from Pondicherry, who ensured that we were comfortable. His colleagues, however, didn’t look like morning people. I wouldn’t say grumpy, but somewhere in that vicinity perhaps. Other dining options in the hotel include – Frevo, an ‘authentic churrascaria-style eating experience’ serving Brazilian cuisine; the American casual dining venue Blowfish that serves hot dogs, fries sundaes and more; the Mediterranean-inspired Seagull on 25° Bistro, and steamed bao buns and other Chinese and Japanese delicacies at the Ba Restaurant and Lounge. Resellers of the afternoon tea could try out the Mashrabiya Lounge while the 24-hour bakery Delicacy serves baked goods. 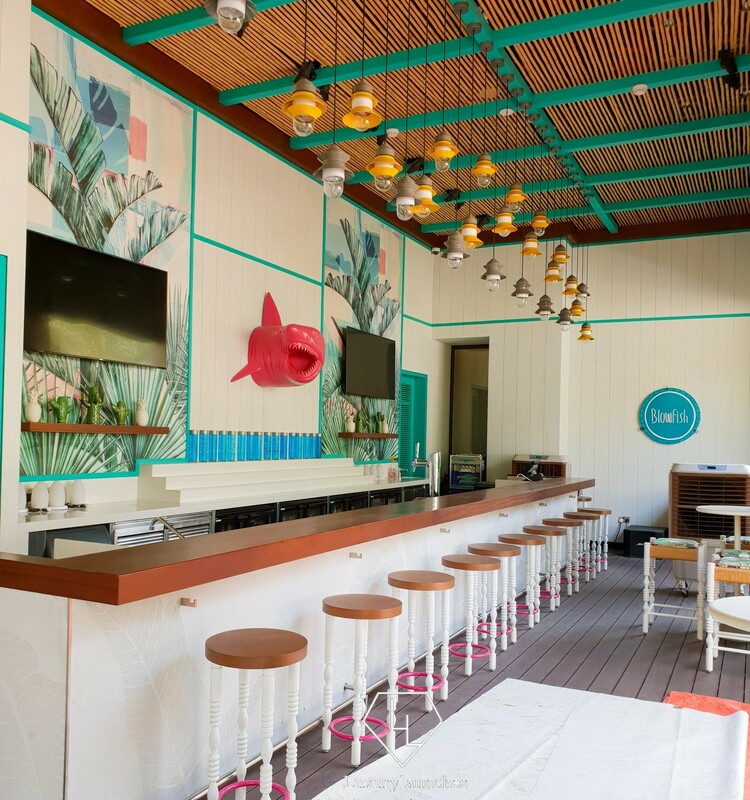 The bistro has just started an adults-only Friday brunch, while Flow Kitchen hosts a family brunch the same day. 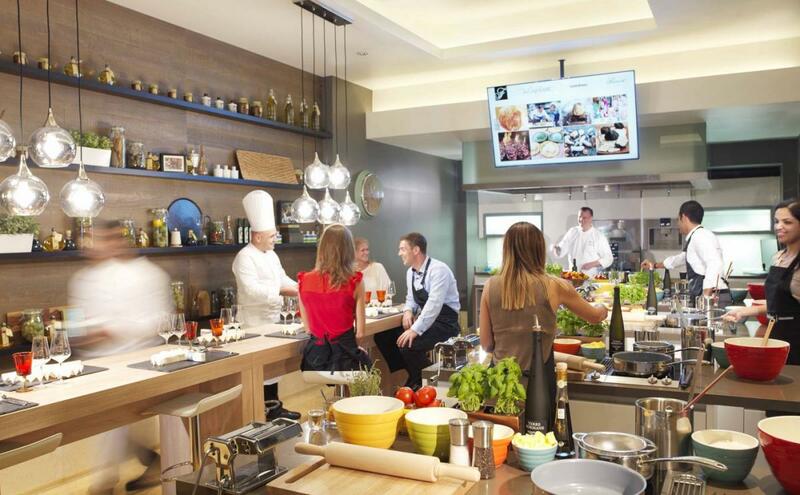 The Chef’s Palette offers culinary classes developed by Michelin star trained chef Romain Van Durmen. The studio also hosts a brunch. For the connoisseurs of cigars, wine and spirits the Cigar Room may be of interest. With several irresistible dining options, an occasional guilt may tug at out hearts. For the strong-willed, the property offers a fully-equipped gym and fitness facility to keep you fit and jolly. 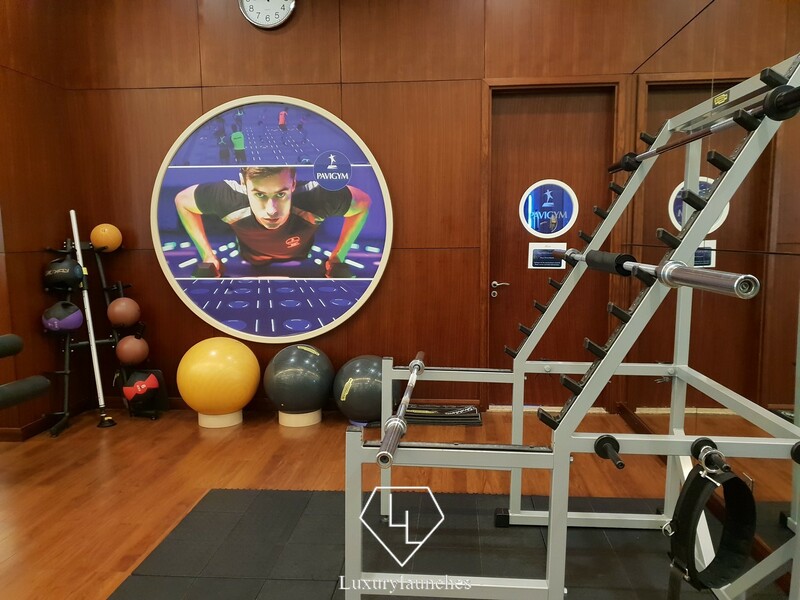 You can even book yourself a personal trainer during your stay, although I find that a bit much. 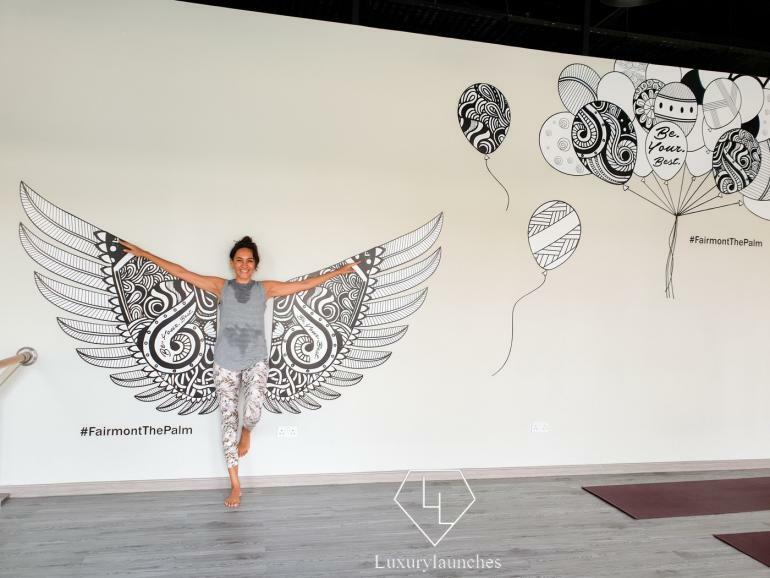 Yoga – free for anyone who is interested, guests or otherwise. I signed up for a session and was so pleased I did. Instructor Caroline Andrews guided the packed room with real composure and grace. I highly recommend that this be given a shot during the hotel stay. 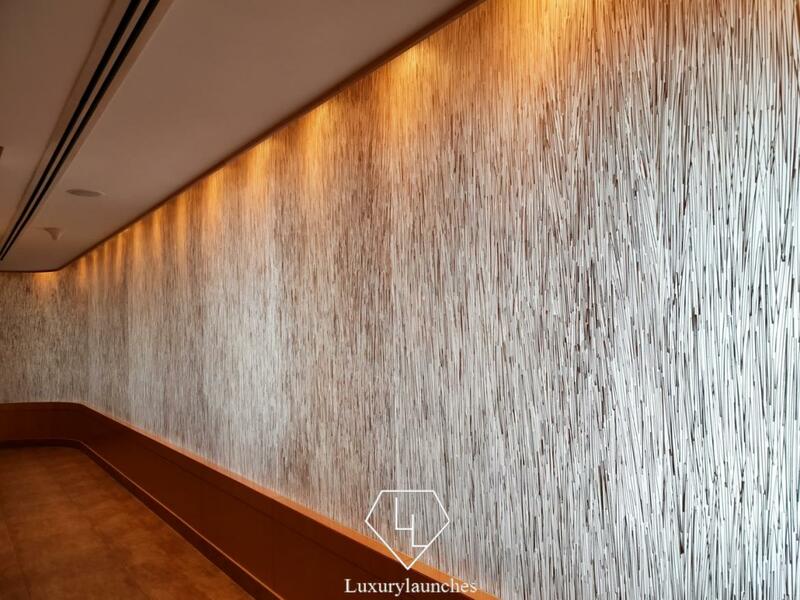 The Willow Stream spa is located on the first floor and has a dedicated lift to take customers to its level. As you enter, smiling faces and beauty and fashion merchandise welcomes you. The receptionist will check with you on your choice of oil for the massage. There is no waiting time as they are prompt with their appointments. A staff member will guide you to the locker room and once changed, you will be lead to the waiting lounge of the 1,600 square meter spa. Colors of the sea in the inside and the light blue shade of the sea at large on he outside lulls you to calm. 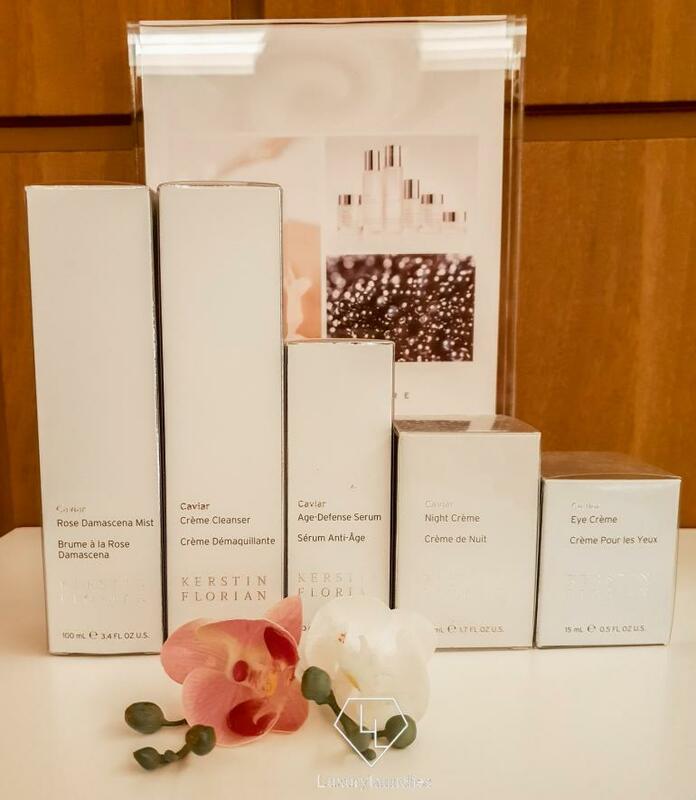 The 60-minute Relaxing Massage was just the answer to my tired muscles, which were all ironed out smooth after the treatment. 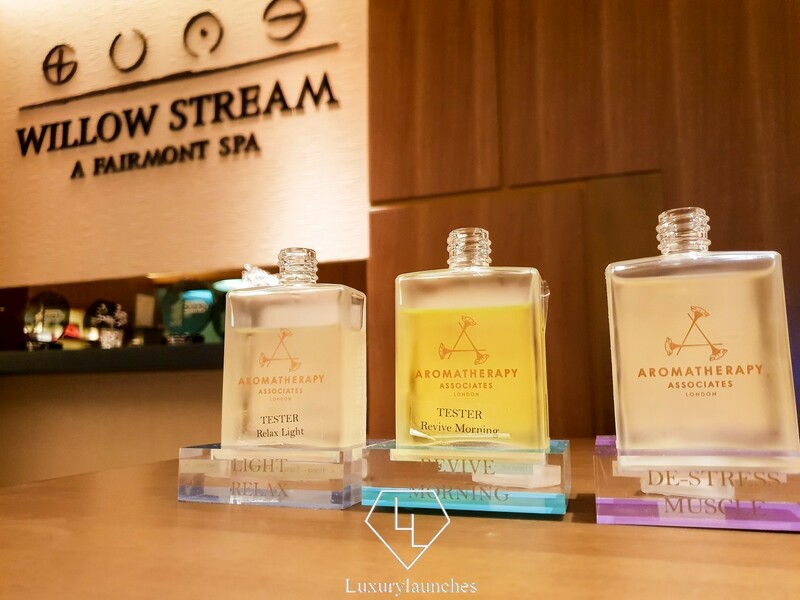 The spa uses products from Aromatherapy Associates in London, which are also available for purchase. 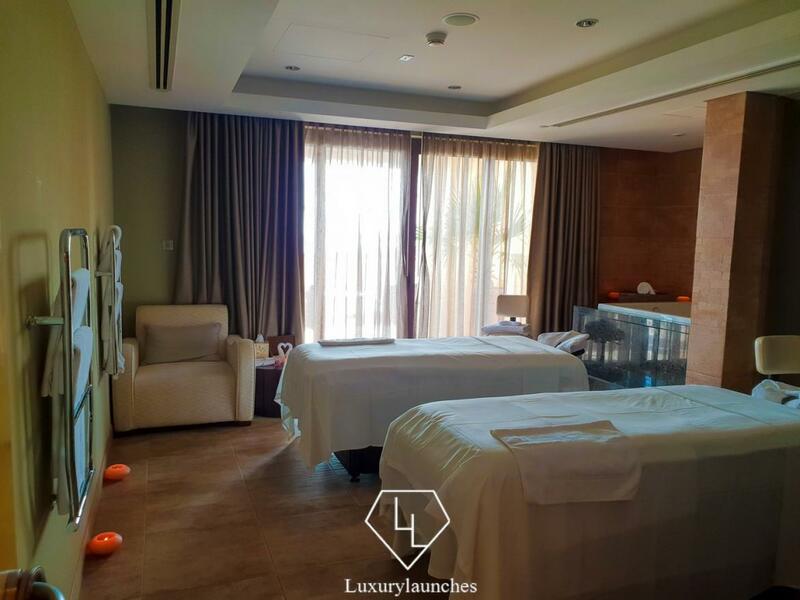 There are 13 treatment rooms including individual therapy rooms and a couples’ massage suite. 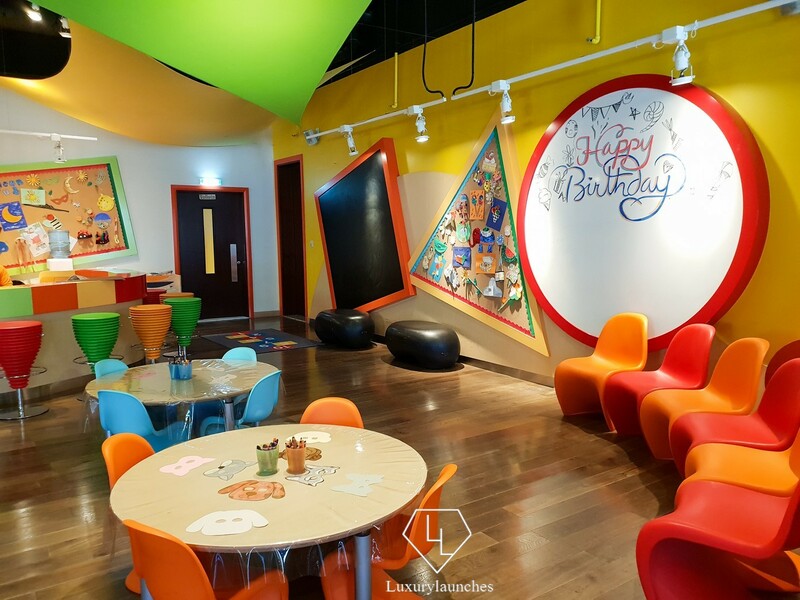 Couples who would like to have a nanny service can sign up for the service where the children will be kept entertained at a spacious and fun kid’s club on the ground floor. Plenty of activities for children of all age groups are available, good enough to keep them occupied and entertained for as long as they please. 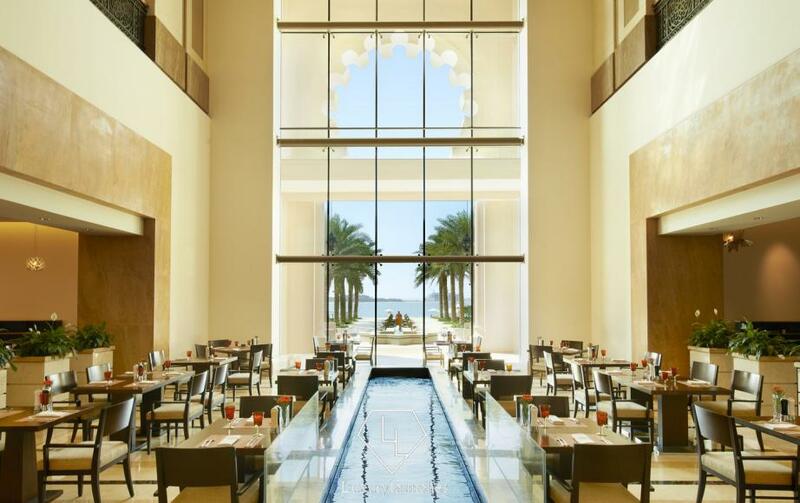 Aside from a few hiccups, our stay at the Fairmont The Palm was pleasant and relaxing. 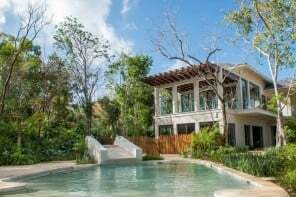 The Fairmont Heritage Place, Mayakoba is your next fantasy holiday destination!